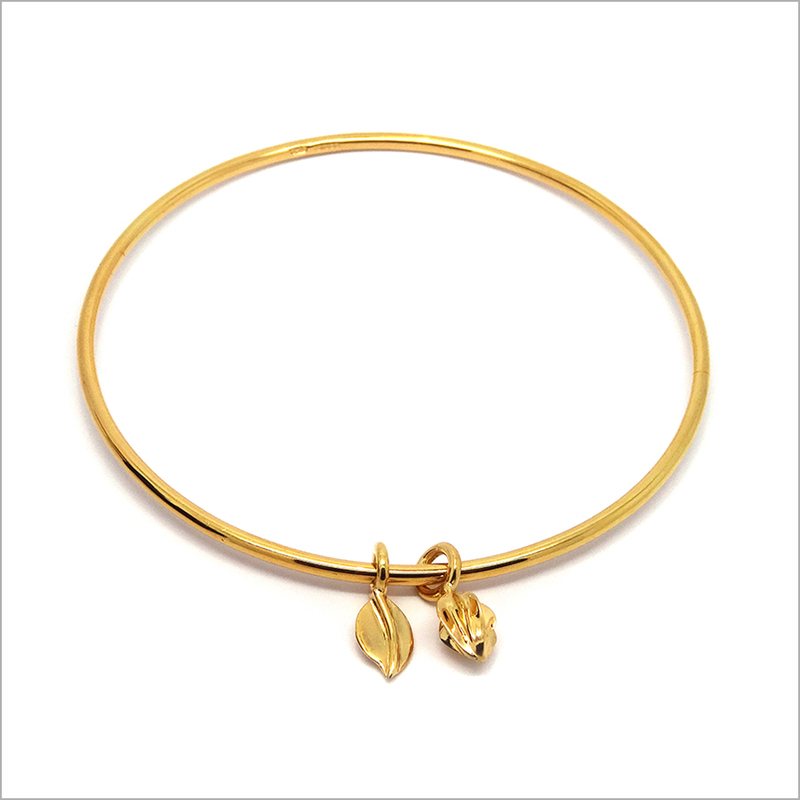 Beautiful, handmade bangle inspired by the pods from a Hozuki or Japanese lantern plant. 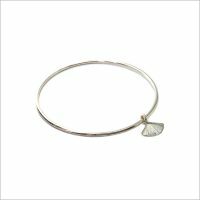 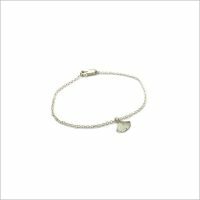 The bangle is made from round wire and has a seed pod and a leaf charm attached. 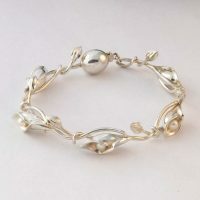 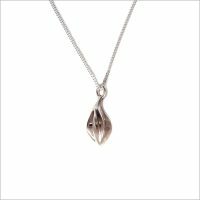 The piece is made from sterling silver and is finished to a high shine. 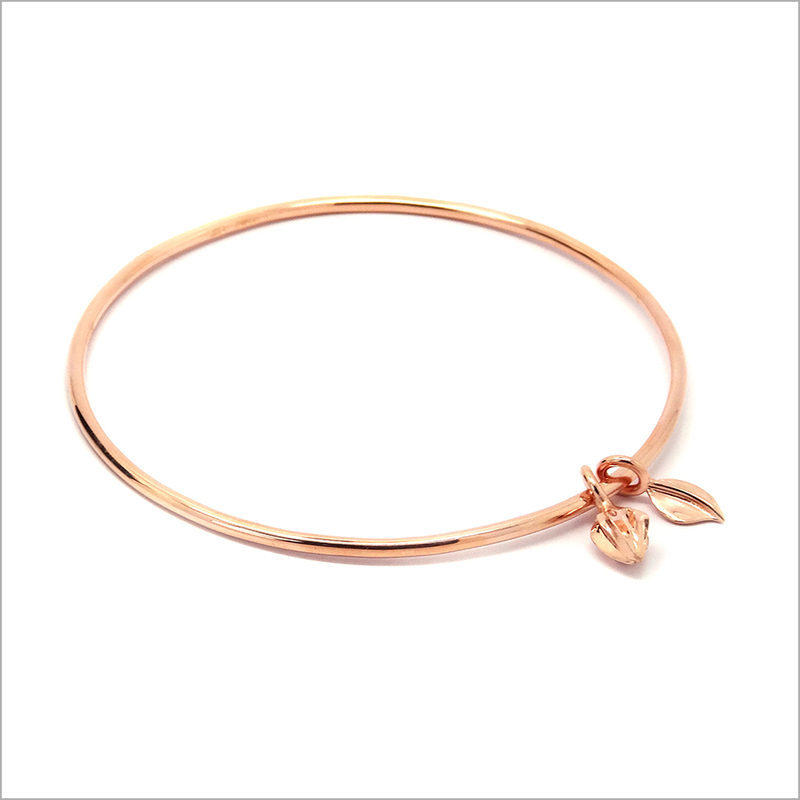 The bangle is also available in 9c yellow gold plated and 9ct rose gold plated finishes. 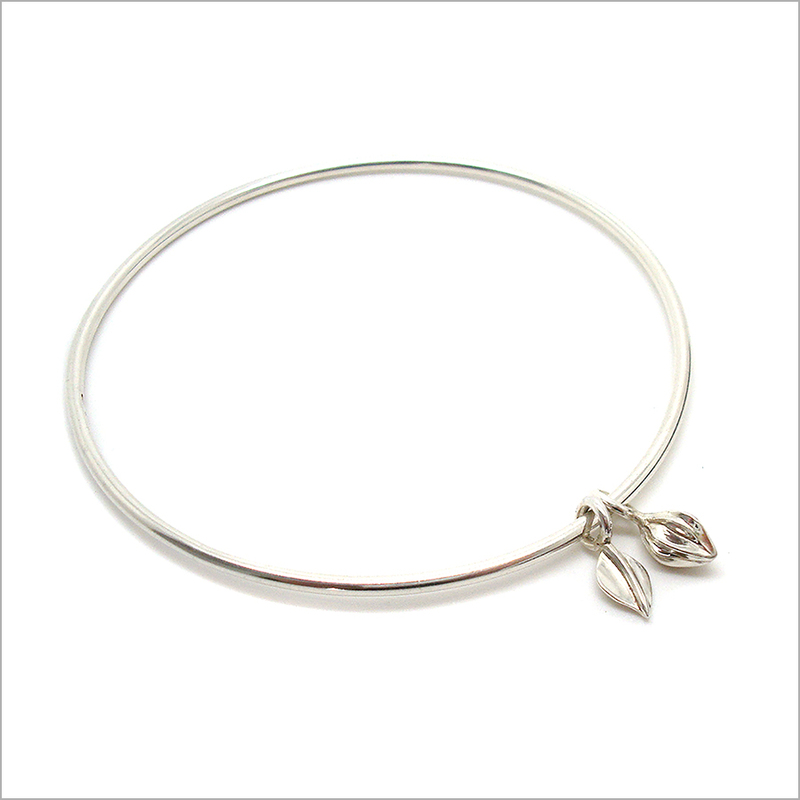 Size: Bangle is available in small, medium and large sizes (diameter approx. 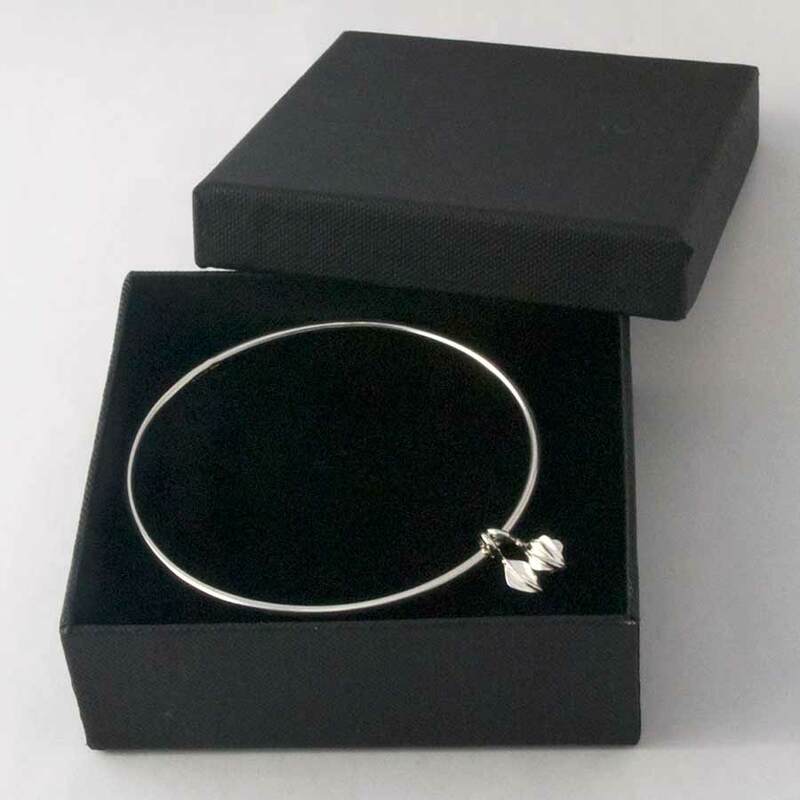 60mm, 65mm and 70mm respectively). 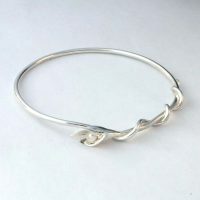 Bangle is made from 2mm round wire. 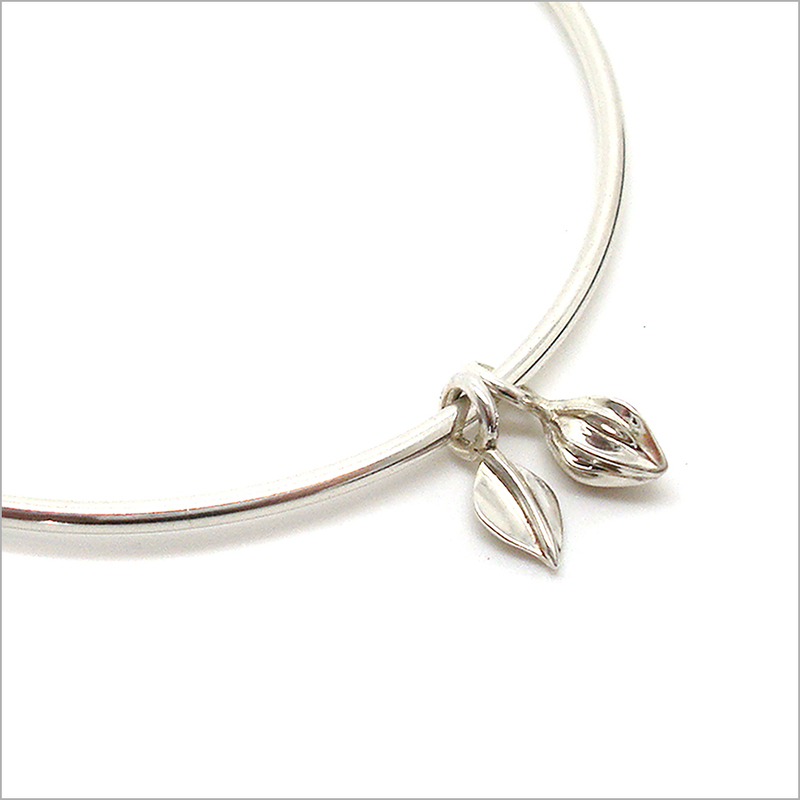 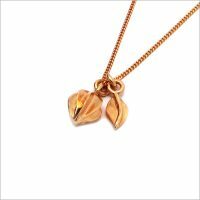 Seed pod and leaf charms measure approx. 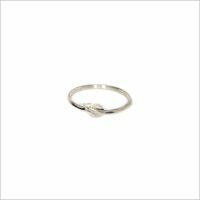 1cm including fixings.